Swedish filmmaker Ruben Östlund's new film Force Majeure, a wickedly funny jab at modern masculinity, garnered a lot of buzz as it made the rounds on festival circuit. 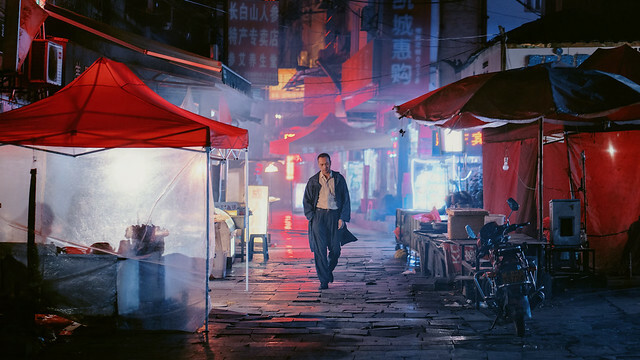 It has earned its fair share of love from the Twitch community as well (read Ryland Aldrich's review from Fantastic Fest here). I had a chance to sit down with the director the day of the New York premiere of the film at the Film Society of Lincoln Center. Östlund, in person, was very friendly, easy going and eager to talk about anything from the role of modern men in society, Swedish humor, his influences to Seinfeld. Your take on Swedish society really fascinates me. Your previous film, PLAY, was such an impactful, divisive film. How did FORCE MAJEURE originate? Well, Play was very well regarded by critics in Sweden and pretty much all over where it was released. About Force Majeure, I have to go back 20 years. I used to make ski films, so I spent a lot of time in ski resorts. When I was accepted into film school, I left the ski world and went into the cinema industry. So I have been looking for a way to get back into that environment and use my knowledge about it. It's been hard, I mean, Play is raising questions that are existential and it's about human behavior in a wider perspective. To find a topic that takes place in a ski environment is quite hard to make existentially interesting. But the idea of the avalanche came up in my mind: Tomas running away from his family in survival mode and coming back and facing his crushed self-image. It asks questions about a man's role in the family, expectations on gender roles in society from a behavioral perspective. So at that moment, I felt I could be able to do a feature that takes place in a ski resort, even though the idea of a film taking place in a ski resort is so kitschy- neon colors, people that are in control of their lives, have a lot of money and wear matching underwear and reflective shades and so on. So it all came with the idea of an avalanche. Is it a normal destination for a Swedish family going on a ski trip in the Alps? Yeah. A modern ski resort was created in the 50s in the Swiss Alps. They had an economical plan: over 30 year period, they set up 300,000 hotel beds in the mountain regions of Savoy. That changed the lifestyle of the whole of Europe, I would say. There was a growing middle class that had money to go on ski trips. It's quite common to go to the Alps. Having seen your other films, I am wondering if Swedish society is a constant inspiration for your comedies. Yeah I guess so. I think it comes across like that because I'm a Swede and the context and situations are reflected in Swedish culture. But in this film, I think that you can use the situation in almost every culture and you will have similar results. I think the expectations of a male is quite similar. I think it would be even stronger in North America because the context of a nuclear family is more pronounced. If you look at cinema history, it's all heroic men. It is so prevalent in Hollywood. Sure, Bruce Willis, Liam Neeson, it's still very much 'father knows best'. So it would be even more interesting to see it in an American context. Yeah I can totally see the Hollywood remake of FORCE MAJEURE at some point. The statistics of survival rates of major disasters that came with the press notes for this film were very interesting. I was quite surprised that the male survival rate is a lot higher than that of females, and of children. Is it safe to say that we as men, deep down inside, are all cowards? Is that what you are trying to say with this film, Ruben? But what I really like about this is, if you look at the culture that we live in, we are brought up to think that we should stand up for our family if there was an outside threat. But when it comes to survival instinct, the culture is put away. Even though men have been conditioned to be loyal to their country, to their family, or to their football team or whatever, when it comes to survival instinct, all those things are put to the side. But the idea of men being loyal to something bigger, like a country, of course, we have to raise our young men to go to war and such. We are not looking at the film industry as an ideologue, but it's pretty obvious that it's producing a certain ideology about family, about the kind of politics that are used to make young men to be in the military. What should we all have learned from the avalanche? Well, I hope, everyone who saw the film would have a easier time confessing something they did that they are ashamed of. I know it's very very hard to confess because I think one of the things we humans are most scared of is to lose face. For example, if you look at the captain of Costa Concordia [shipwrecked on the coast of Italy in 2012], now dubbed as 'Cpt. Coward', famously said that he 'fell into the lifeboat'. He was trying so hard not to lose face, you know. I think it's very human behavior. Because outside perspective we have on ourselves, I think that's something that sticks out in humans when compared to other animals. And that outside perspective also makes us very good in cooperating and it makes us very efficient. This is why we are such a successful species. But this fear of losing face is sometimes bigger than survival instinct. I think it's very interesting. You remember the principal who was on the South Korean ferry who abandoned his students in the fit of survival instinct. But then he killed himself to avoid losing face. And I think that's extraordinarily interesting that you decide to kill yourself when your instincts want you to survive. FORCE MAJEURE is shot quite differently than your previous films. It's less formally vigorous than your other works; there are close ups and camera movements. I wonder how that came about? Well I think there's a lot of drama that takes place inside the character this time. So I needed to step closer and focus on what's happening on the faces. That was also important when I was choosing the actors, because they had to be able to express what's going on inside on their faces. This is one of the reasons. Both Lisa Loven Kongsli [the wife, Ebba] and Johannes Bah Kuhnke [the husband, Tomas] have very expressive faces. But also, when I made Play, it was very hard to create dynamic scenes when I was editing it. The film consists of 42 static, wide shots, so we cut it after we premiered in Cannes. Because we didn't manage to do it in the best sense. This time I wanted to have more opportunity to be more dynamic and able to change the rhythm of the film- going fast to going very slow and deep whenever needed to. Were you influenced by Roy Andersson? Because I can totally see his influence in your films. Yeah sure, I mean, if you were brought up in the 70s in Sweden, you have his commercial films in your blood. So I guess he was much more influential to me than Ingmar Bergman was. We have been working with the same producer also [Philippe Bober, whose credit includes Songs from the Second Floor, and Ulrich Seidl's films]. Andersson is an extraordinary filmmaker. He is unique in perspective from all the directors in the world. I really love his kind of humor- his way of taking very trivial situations and treating them as deadly serious, I think it's beautiful. There was another recent American film that dealt the same theme of male emasculation in the face of disasters called THE LONELIEST PLANET by Julia Loktev. Have you seen it? No. But when we were preparing this film, people were telling me about that moment from the film, when he was trying to hide behind his girlfriend when threatened by a gunman but I've heard so many funny examples about the same kind of stories when I was talking about the avalanche situation. A friend of mine told me about his friend who was supposed to have a bachelor party. They were doing a fake kidnapping on him. So, a bunch of them in ski masks and guns knocked on his door and when he opened the door, he was so scared he hid behind his fiancée. And they were supposed to get married like in 2 weeks. And they had a really hard time getting over that. And there is this episode of Seinfeld- when George Costanza is at a children's birthday party and the fire alarm goes off and he pushes away all the children and runs for the exit. [laughs] So there are some moments that remind us of the same kind of conflict and expectations of men. I know that the avalanche seen from the terrace was shot on green screen. I read somewhere that you used CG in your other films. But I couldn't really place where. For example when the kid was doing push ups... in Play, how do you say it? He does like ten and stays still but in the film he does like 89 push ups or something. That was CG'd. [laughs] Oh and the beginning of Play, that surveillance shot with the camera panning? That's also one static shot that we manipulated. My time is up. But thank you very much and have fun at the NY premiere tonight and LA Tomorrow. Force Majeure opens Friday, October 24 in NY and LA. The film is Sweden's official Oscar entry this year. 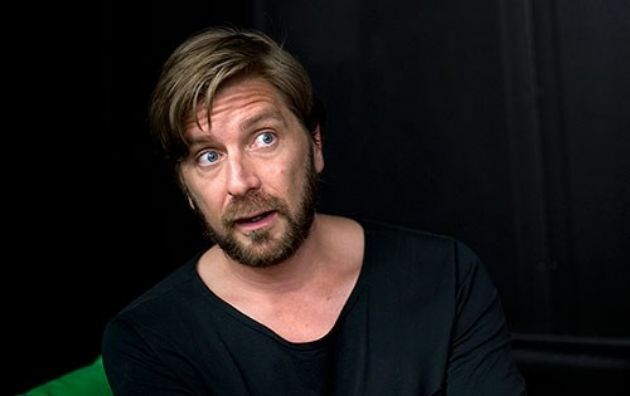 Film Society of Lincoln Center just announced IN CASE OF NO EMERGENCY: THE FILMS OF RUBEN ÖSTLUND, January 14-22, 2015. Östlund will be in attendance to present the series.